Non Repayable Home Buyer Grant for Syracuse New York Real Estate Buyers. SYRACUSE, N.Y. - Nov. 20, 2015 - PRLog -- Syracuse, NY - November 20, 2015 - We are pleased to announce that as of November 2015 we are able to offer all home buyers in the Greater Syracuse NY area and throughout Onondaga, Madison, Oswego, and Cayuga County, the Non Repayable Home Buyers Grant. This is an exclusive down payment assistance for home buyers that meet certain credit and income requirement. It is a 5% free grant that is non repayable. On a $200,000 home, you would get $10,000 to apply to your down payment or closing costs. * Income limits apply - Learn more today! 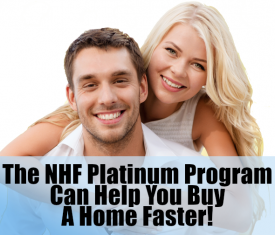 National Homebuyers Fund®, Inc. (NHF) was established in 2002 to stimulate and expand homeownership opportunities across the nation. • Participated in over $4.3 billion in loan financing of first and second mortgages. Call Bob McTague to learn more about this home buyers grant. Call today at 315-882-6610.